NEW TAKEOFF 2015 2016 2017 2018 ORIGINAL FORD F150 LARIAT SUPER CREW BLACK LEATHER SEAT UPHPOLSTERY SET. 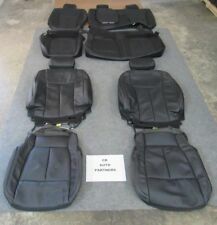 THIS IS A SET OF TAKEOFF ORIGINAL FORD F150 LARIAT SEAT UPHOLSTERY WITH LESS THAN 50 MILES ON THEM. THIS IS A TAKEOFF ORIGINAL FORD RAPTOR LEATHER SEAT UPHOLSTERY SET WITH LESS THAN 50 MILES ON THEM. A pair of headrest covers for FORD. We will do our best to resolve any problem. New 2004-2007 Ford F-250 F-350 F-450 Superduty Truck OEM Bucket TAN Cloth Seat Covers. These are new takeoff seat covers that have been sitting around since 07. 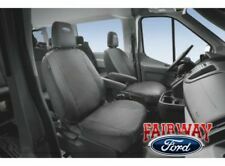 Application: 2004-2007 Ford Ford F-250, F-350, F-450 SuperDuty Truck Regular or Crew Cab with Bucket Seats with the Hard Center Console in the Front. Trending at $112.01eBay determines this price through a machine learned model of the product's sale prices within the last 90 days. 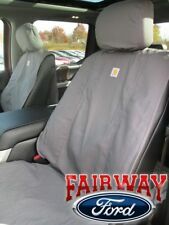 New 2008-09-10 Ford F-250 F-350 F-450 Superduty Truck OEM Bucket or 40/20/40 TAN Cloth Seat Covers. These are new takeoff seat covers that have been sitting around since 08. I don't have the 20 section center part if you are using them for a 40/20/40, I just have the LH & RH bucket Seat covers top and bottom. Application: 2004-2008 Ford F-150 Lariat SuperCrew Trucks with Front Bucket seats and the hard console. 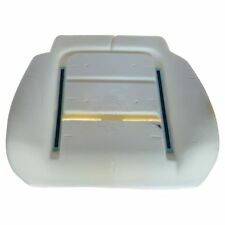 This is for the front bucket seats with the hard console. Seat Belts. All the J-Channel that hooks to there seat is there. NEW TAKEOFF 2015 2016 2017 2018 2019 ORIGINAL FORD F150 LARIAT FRONT BLACK LEATHER SEAT UPHPOLSTERY SET. THIS IS A SET OF TAKEOFF ORIGINAL FORD F150 LARIAT FRONT SEAT UPHOLSTERY WITH LESS THAN 50 MILES ON THEM. Set of New Take Out 2015-2018 F150 Crew Cab (full four door)Black leather seat covers w/ grey stitching. The rear seat is the armrest style not all F150 rear seats have the armrest option be sure of what yours is before you order. 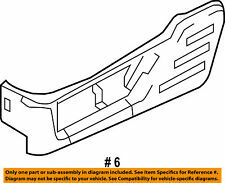 Your Source for Genuine OEM Ford Parts & Accessories! 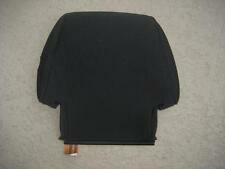 YOU ARE BUYING A NEW TAKE OUT FORD ECONOLINE PASSENGER SEAT CUSHION FOR THE FRONT OR REAR BUCKET PASSENGER SEAT. THE CUSHION WILL FIT 1997-2017 E150-E250-E350 E450 VANS. THE CUSHION DOES NOT HAVE ANY WEAR ON THEM AS YOU CAN SEE IN THE PICTURE. 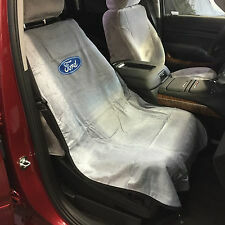 OEM Ford F-Series F150 Platinum Seat Cover Driver Front Left Back - Sienna Brown. We appreciate the opportunity to take care of the problem. Interchange: 2015-2018 F-150 Crew Cab Trucks. These are not slip covers or throw on covers, they are the original cloth covers off the seat. You will have to remove the existing factory covers to put these on. 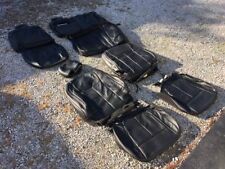 UP FOR SALE IS ONE COMPLETE SET OF FACTORY CLOTH SEAT COVERS. THESE COVERS WERE TAKEN OFF A NEW 2017 FORD F150 SUPER CREW WITH LESS THEN 100 MILES ON IT BECAUSE OF A CUSTOM LEATHER INTERIOR UP GRADE. 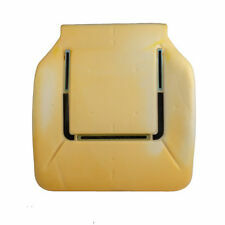 OEM FORD F-SERIES F150 XLT TAN/PALE ADOBE Cloth 40 Right/Passenger Front Seat Back Cover. COLOR: TAN/PALE ADOBE. BACK PORTION of the seat ONLY! 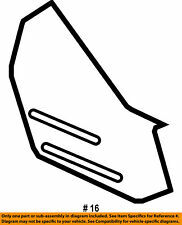 Fits: Passenger/Right Side 40 Front for 40/60 bench seats with side airbags (labeled).